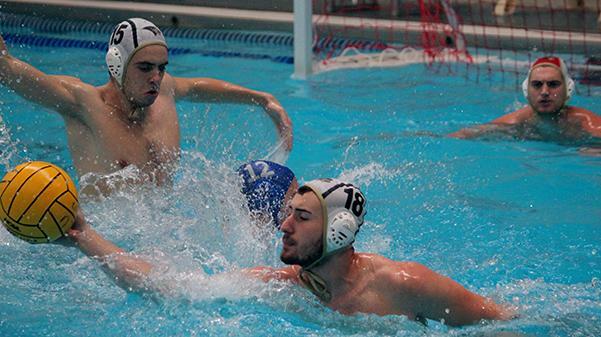 The Lindenwood men’s water polo team will get a chance to play for its fourth consecutive national title this year after winning the conference championship on Sunday. Lindenwood hosted the tournament at the St. Peters Rec-Plex. The Lindenwood A team got past St. Louis University and the University of Missouri on Saturday. Missouri forfeited the game because it didn’t have enough players to field a team. On Sunday, Lindenwood played Washington University in the final. The Lions came out victorious by a big margin, winning 26-7. Lindenwood B came in third in the tournament, beating St. Louis University 10-7 in its final game. Lindenwood A finished the conference season with an undefeated 11-0 record. Lindenwood B finished 8-3. Senior Toni Storic credited the program’s freshmen with helping to elevate the standard of the team. The Lions will now head to Florida State University to compete in the national championships on Nov. 10-12.